Mother’s Day 2014 is almost upon us. It’s the one time of year we can really go all out to show our mums how much we appreciate them for bringing us into the world and kissing every scraped knee. While most mothers swear they’ll be happy with just a nice card and a big cuddle, we think mums around the globe deserve better. Just think about at all the amazing things only mother’s do! If you’re still stuck for ideas, check out our fab list of six creative mother’s day gifts to make Mum’s day. At first, baking supplies might seem like a slightly tongue-in-cheek gift to give someone who’s been cooking for you your whole life. However, often our best and most intimate early memories with our mothers revolve around the kitchen. Remember that night she whipped up those cool cupcakes for the school bake sale or the way she always let you lick the spoon after making Dad’s birthday cake? 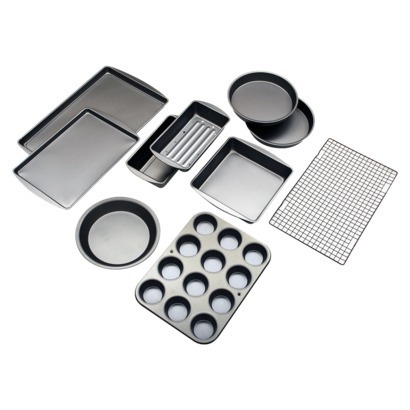 This year, instead of buying your mum a dry, store-bought cake for Mother’s Day, present her with some new, good quality bake wear, like this comprehensive 10-piece baker’s basic set (Target - $39.99). Then, coax her into the kitchen to make a cake with you. 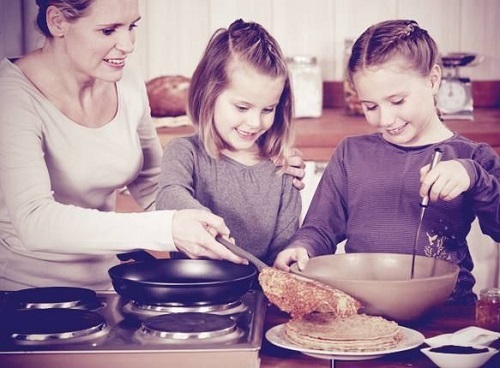 Baking together will bring back some of her favourite memories from your childhood. Better still, you’ll end up with a family favourite cake to eat alongside your Mother’s Day dinner! Get Mum’s baking supplies for less by using Target coupons! If you’re looking for creative Mother’s Day gifts that’ll last longer than a box of chocolates, why not gift Mum some scrapbooking supplies? Scrapbooking is a hugely rewarding and imaginative way to create, preserve and celebrate memories, but it can be difficult to know where to start. So, set your mother up with a full scrapbooking kit (Amazon - $10.45), complete with gorgeous paper, stickers, labels and photo sleeves. 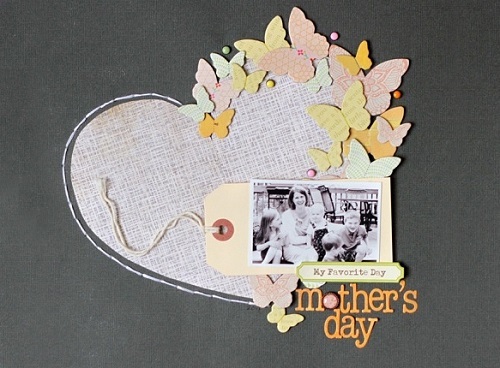 If you want to go that little step further with your creative Mother’s Day gifts, design your own cover page dedicated to your mother. Just paste your favourite childhood Mum & Me pictures onto some textured card and decorate it with cute little accessories, like these MambiSticks Family Stickers (Amazon - $6.97), to make her smile all day long. If you’ve got kids of your own, let them create a page explaining their fondest memories of grandma too. You can even put this wonderful gift together on a budget by using Amazon coupons! While gift baskets aren’t the most creative Mother’s Day gifts on our list, they’re a great way to get more bang for your buck and perfect for those of us who leave our Mother’s Day shopping until the last minute. There are stacks of different options available online, from special spa gift baskets (Kohl’s - $59.99) for mums who need to relax to scrumptious snack gift baskets (Kohl’s - $27.94) for ladies with an undeniable sweet tooth. If you want to make your gift basket that little bit more special, pad it out with a few personalised additions of your own, like Mum’s favourite chocolate, a handmade note or even a Macy’s gift card. If time’s on your side, you may even want to create your own gift basket assortment from scratch! Get the best deal on gift baskets for Mum by using Kohl’s coupons and Macy’s coupons. The most memorable and creative Mother’s Day gifts aren’t always the gifts that cost the most, but those which last the longest; that’s why so many of our Mother’s Day gift ideas involve creating special moments with you and your loved ones. 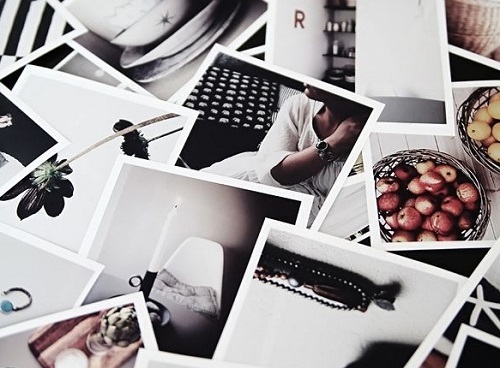 A fabulous option for easily making memories is a Polaroid camera. Not only will it remind Mum of the swinging 60s and 70s, but it’s also perfect for documenting Mother’s Day 2014 without the hassle of getting film professionally developed. 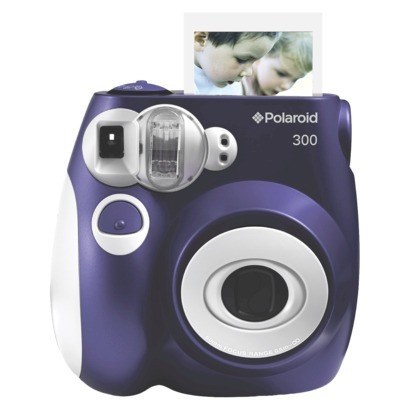 Check out this inexpensive Polaroid 300 Instant Camera (Target - $69.99) for yourself. You can make your present extra special by pasting Mum’s favourite photos from the day into a new photo album. On each page, include a sweet little note explaining one thing you love about your mother. Save on Mum’s new camera with coupons for Target! When we think about creative Mother’s Day gifts, it’s easy to forget about jewellery or dismiss it as an overdone gift. Sure, your mother could probably do without a third generic silver necklace or gold ring, but that doesn’t mean she doesn’t have room in her collection for something more sentimental. 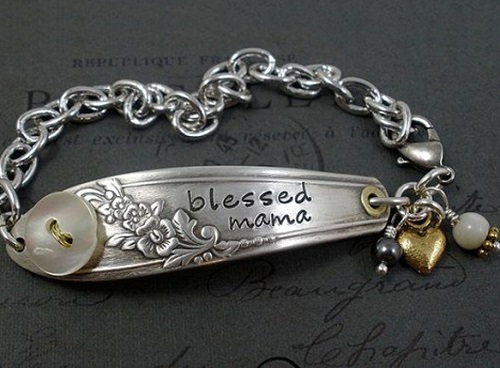 There’s a huge range of gorgeous and very trendy mum-inspired jewellery on the market right now, from this beautiful Giani Bernini Sterling Silver Heart Pendant (Macy’s - $55.20) to this heart-warming Cuff Bracelet (Amazon - $64.99), which reads, “The Love Between a Mother and a Daughter Knows No Distance”. Remember, a well-chosen piece of jewellery is a permanent reminder of your love that Mum can slip on every day. Some stores will even let you engrave your own message for a more personal touch. Don’t forget to save by using coupons! One of the most creative Mother’s Day gifts you can give is artwork. It’s also one of the most personal. When choosing artwork for your mum, remember to take all her likes and dislikes into consideration. 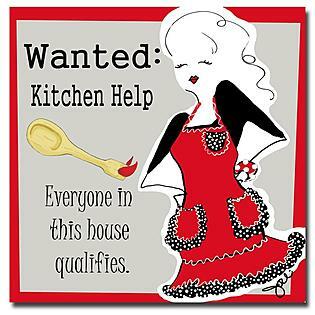 For example, if Mum was forever asking you to do the dishes as a kid, she’ll most certainly get a laugh out of this cute ‘Wanted: Kitchen Help’ poster (Kmart - $48.99). 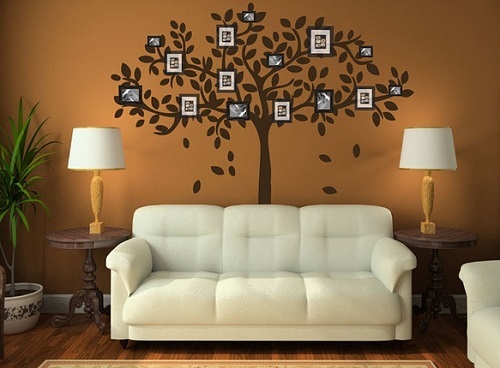 If you’d rather go a more sentimental route, take inspiration from the amazing tree decal (Amazon - $9.79) art above and help Mum construct a captivating family tree in the sitting room This is a particularly fun activity when grandchildren are involved, as your mother will be able to relive all her favourite stories about your uncles and aunts with a fresh audience. Don’t forget to pick up some plain photo frames (Kmart - $3.60) to complete the job. Remember to shop smart and save using Kmart coupons and Amazon coupons. With May 11th creeping closer, it’s time to start giving Mum some serious thought. This year, don’t settle for wilted, roadside flowers or chocolate that won’t last the afternoon. Instead, make Mum’s day with one of our six super creative Mother’s Day gifts ideas, then spoil her with a fantastic brunch. Good luck and get shopping! Responses to "Gift Guide: Six Creative Mother’s Day Gifts to Make Mum’s Day"